Federal relations staff work in Washington, DC and Illinois, on behalf of the University of Illinois. State relations are coordinated by staff in Springfield and around the state. Governmental Relations also coordinates the Council on Government Relations and External Relations (COGER). Illinois Connection is the University of Illinois Alumni Association’s legislative advocacy network. Its mission: to gain greater federal and state support for the University of Illinois System's three universities as well as their interests. By increasing awareness and understanding of the U of I’s positive impact on the state, nation and world, Illinois Connection advocates help to ensure the University’s legacy and longevity. 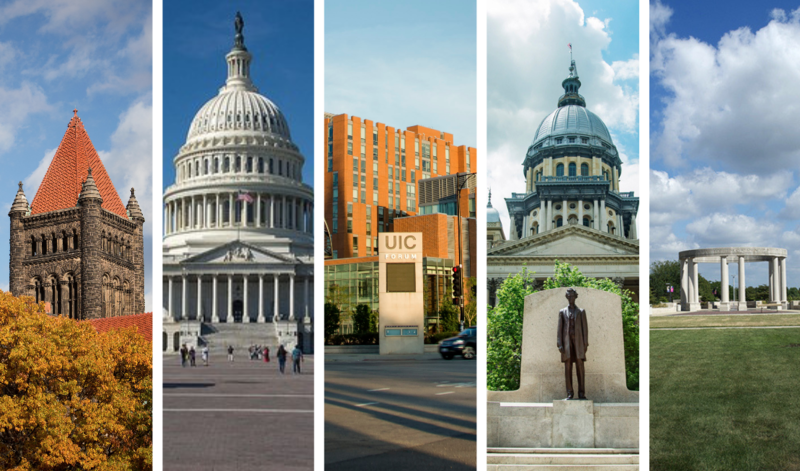 Our offices provide social media posting and newsletters for legislative updates highlighting state government issues impacting the University of Illinois, legislative updates, and DC visits and events.